The Lenovo Thinkpad X61 tablet has a “12.1-in Super Wide Angle SXGA+ TFT display with 1400 x 1050 resolution” option. The display panel is the BOE-Hydis HV121P01-101, an AFFS display with glass bonded to the LCD panel. 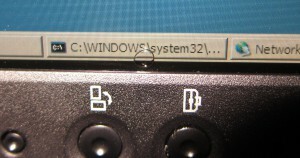 The predecessor used in the X60 tablet (HV121P01-100) uses the same LCD panel but did not bond the cover glass to the LCD. 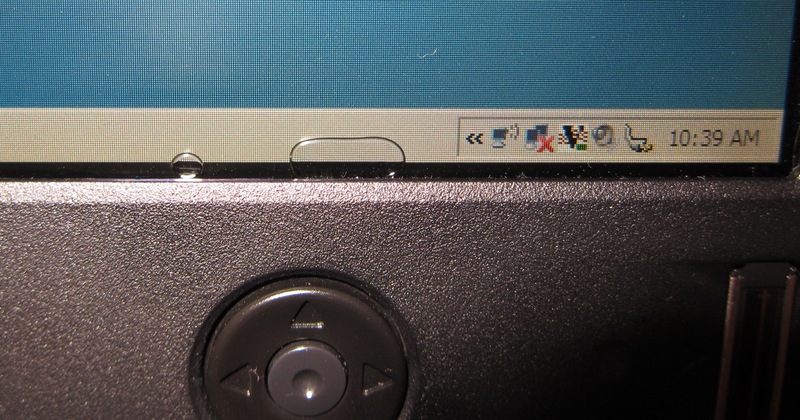 The display is prone to developing bubbles in the adhesive layer in between the LCD and glass. There’s a long thread at Lenovo forums (Air Bubble In LCD Screen X61 Tablet) about the bubbles and the difficulty of getting it replaced or repaired. Air bubbles appearing near the bottom edge of the display. This picture shows a new bubble forming inside an existing bubble. A new bubble would emerge every few days. The buttons below the display were also sticky from the leaked adhesive. The bezel was sticky. This is the adhesive from the LCD, not the double-sided tape melting. It was gooey only along the bottom edge where the LCD adhesive was leaking. To see what’s going on inside, the bezel was removed. There was a lot of leaked adhesive, especially along the bottom-left edge. It appeared as though the adhesive was being wicked out of the bottom edge of the LCD by adhering to and flowing along the plastic bezel piece, gumming up the buttons. Air bubbles entered to replace the loss of adhesive. The most obvious repair method is to apply heat and pressure to squeeze out the air bubbles, with enough heat to redistribute the adhesive evenly across the entire display (resulting in a slightly thinner adhesive layer). That didn’t work: I successfully squeezed out the air bubbles, but the heated adhesive did not behave like a Newtonion fluid (non-zero shear stress at rest), so it tended to flow back to its original position, refusing to be evenly redistributed. Some adhesive was lost during the repair attempt, there was continuing leakage out the bottom, and the adhesive refused to flow, so even more air was drawn in to replace the adhesive deficit along the bottom edge. This resulted in even more bubbles after the repair attempt. This is the current state, after a second repair attempt using higher temperatures, also failing in the same way. I’m hoping I can get some fresh adhesive (of the same kind) to fill in the (big) bubble, since it seems hopeless to try to redistribute the existing adhesive. 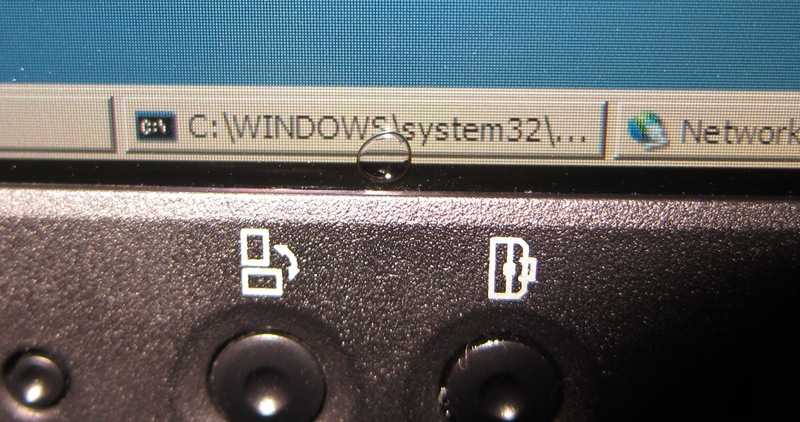 The X61 tablet uses a Hydis HV121P01-101 screen, the same as those found in a Motion Computing LE1700 tablet. 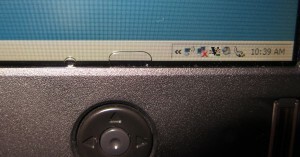 Motion Computing advertises later Hydis displays using DuPont Vertak bonding, so there’s a good chance the older Hydis HV121P01-101 also uses a DuPont adhesive (Vertak DBA1000/2000 or a predecessor?). The Vertak adhesives have low elastic and shear modulus and strength, which might contribute to its tendency to flow out the side of the display. Qualitatively, the gooey adhesive I see in my display agrees with the properties listed in the datasheet. I think I can make a decent repair of the bubbles by filling in the bubbles with fresh adhesive (ideally of the same kind), curing it, and then sealing the edge of the display with silicone to prevent future adhesive leaks. I don’t have a clean room, so I’m not able to completely replace the adhesive without getting dust into the display. Here’s a very good video showing how to substitute the LCD screen if this seems to be a better option. A possible replacement is BOEHYDIS HV121P01-101 (google it). If you ever decide to sell the screen I’d be interested. Great work Henry. Do keep us posted on the GLUE/ Filler that will work. And/ or any other way that you fix it. ain’t that a typo of yours mentioning the “BOEHYDIS HV121P01-101” as a replacement? As Henry stated above the “BOEHYDIS HV121P01-100” is a replacement without the glass being glued, only at its rim. So this “older” displays is to be suggested as a replacement. so far “anyone in the web” says both “BOEHYDIS HV121P01-100” and “BOEHYDIS HV121P01-101” can be used in the X61T with the former _not_ having the glue under the glass, i.e. no air bubbles are going to appear. And similarly, the Motion LE 1700 seems to have the same display (on certain models, i.e. having the “ViewAnywhere” option), namely a BOEHYDIS HV121P01-101, as a X61T. 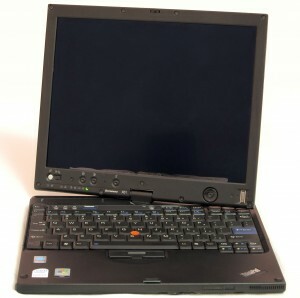 Now how comes that there are only very few reports out there stating the LE1700 having an air bubble problem similar to the X61T’s? 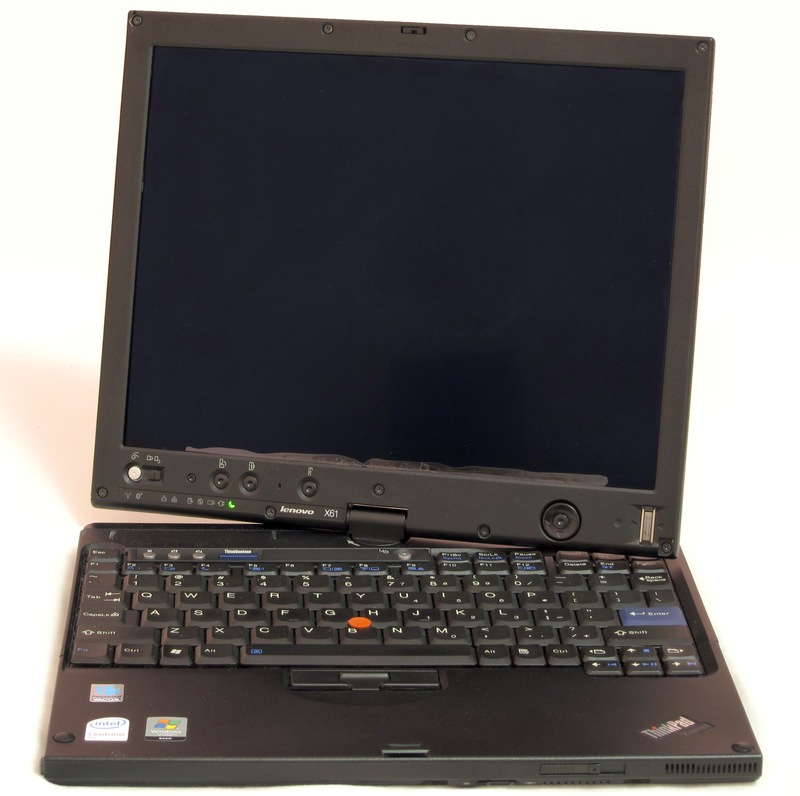 This might be an indication (besides the fact that there might be relatively few LE1700 users compared to X61T users) that the LE 1700’s display is glued differently than the X61T’s. And some LE1700 users claim that the reported air bubbling is not comparable with the X61T one. You can see pictures of LE1600 (!) with a single large bubble about two inches in diameter. Furthermore your idea that the Motion’s display uses “DuPont Vertak bonding” might be an error, as your link only relates to the C5v and F5v, not the LE 1700. To add to the confusion, you can read with Dupont that its “… Vertak bonding [is] … highly resistant to […] bubble formation …”. On the other hand I have to admit that your conclusions relating between elastic, shear modulus and strength might indeed indicate formation bubbles. So what I’m saying is: with a certain probability the X61T bubble problem is due to not using the Vertak glue. Hence you might rather be better of with trying it, as it might differ from that on the X61T’s. Sorry for this highly suggestive comment. Yes, I guessed that the LE1700 may have used Vertak bonding based only on the assumption that Hydis didn’t change adhesive suppliers. My guess can easily be wrong, but I haven’t seen any evidence yet of Hydis using adhesive from another supplier. The display hinge is too tight and the bezel flexes too much because of it. This causes the lower bezel to flex outwards while opening the display. Normally this would simply be a cosmetic issue (or diagnosed as bezel adhesive tape too thin). The problem is that the back side of the bezel is very close to the edge of the display, and a bezel flexed outwards causes the back side to contact the edge of the adhesive inside, leading to adhesive sticking and flowing into the bezel (and display buttons). Yes, the adhesive is sticky and can flow, but I think it would not have flowed out had there not been an external solid object repeatedly contacting and “pulling” the adhesive out. My hinge recently failed from metal fatigue (Yes, half the hinge snapped. It was much too tight). Since then, the bezel no longer separates from the display when opening, and I’ve noticed less (none?) further adhesive loss. I have the same problem. My bubbles are …many and large and of course by the sides. Personally I’m on the fence to try to separate the glass from the screen, but it’s huge work – but I’m constantly bothered by the ooze gooing out around the screen. Or, the better option (financially unhappy) is to replace the screen and the digitizer with the X60 one (of course SXGA+). Has anyone thought about using epoxy and inject the pre-cured epoxy into the space using a needle-syringe system? * Epoxy isn’t always clear (often yellowish). * Epoxy would still form an interface with the existing adhesive, so there would still be bubbles (though less visible, depending on how well the refractive indices match). * It wouldn’t prevent the formation of new bubbles. Would you be so kind as to indicate the date code of manufacture of your machine? Henry, thanks for your work! 🙂 My laptop Dell Lattitude E6410 ATG has the same problem. One question, How do you press the shield glass during heating adgesive? The problem is to distribute load evenly on the shield glass and evenly heat the whole perimeter under bezel. Then cool down LCD panel with applying load (don’t remove applied pressure!). As far as what I tried 5 years ago, I was just using fingers (and a cloth to reduce burning of fingers). I gave up. I’ll replace the laptop when I get sufficiently annoyed at it, which hasn’t happened yet. Henry, thanks for your reply! Now I think to fill up the bubbles with UV-LOCA glue. It’s used in workshops to attach phone or tablet touchscreens with guard glass. Call me the ‘founder’ of that thread over at the Lenovo forum. Isn’t it funny that this can be repeatedly diagnosed as a *stress-fracture* by real so-called technicians? Nice to see you are offering repair. Btw, the original glue turns into a goopy ooze with minor heat. I just unglued the glass layer and write directly on the screen. Well, I considered repair… I couldn’t get a response out of DuPont though, so no luck for me. I’ve chosen to live with the (still growing) bubbles for now, since I do appreciate the anti-reflective coating, at least on what’s left of the display area.